Australia’s largest solar energy project is beginning to take shape after years of planning and development. 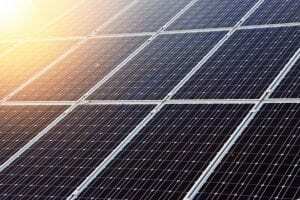 The project has received funding from the Australian Renewable Energy Agency and has begun receiving shipments of photovoltaic systems from First Solar. The Australian Renewable Energy Agency has invested $167 million into the project so far. The project is estimated to cost a total of $440 million and will require more than 250 hectares of land. First Solar will be providing the project, which is owned and managed by AGL, a solar energy company, with its photovoltaic technologies. The company has delivered the first of its 1.35 million solar panels to the project, which are currently being installed. More of these solar panels will be delivered to the project in the near future, as it becomes more developed. The project is located at Nyngan and has a sister project at Broken Hill. The first has a maximum energy capacity of 102 megawatts, while the second has a capacity of 53 megawatts. Both of these energy projects are meant to complement one another, together generating enough energy to power 50,000 average homes. The project at Nyngan is expected to be completed in June 2015, while the one at Broken Hill is expected to be completed by December 2015. Australia is a very attractive market for solar energy, but large-scale projects have found it difficult to take root in the country. The government has become somewhat cautious about clean energy due to its relatively high costs and the risky investment that some energy projects represent. Despite this cautious, the government is supporting various forms of renewable energy through its various agencies. Solar energy is one of the forms of clean power that is currently receiving the majority of the government’s support.